A chemical that has widely been considered safe and used on various crops has been discovered to make honeybees susceptible to a deadly virus, as per researchers at Penn State and the U.S. Department of Agriculture. “In the lab, we found that the commonly used organosilicone adjuvant, Sylgard 309, negatively impacts the health of honeybee larvae by increasing their susceptibility to a common bee pathogen, the Black Queen Cell Virus,” said Julia Fine, a Penn State graduate student in entomology. “These results mirror the symptoms observed in hives following almond pollination when bees are exposed to organosilicone adjuvant residues in pollen, and viral pathogen prevalence is known to increase. In recent years, beekeepers have reported missing, dead, and dying brood in their hives following almond pollination, and exposure to agrochemicals, like adjuvants, applied during bloom has been suggested as a cause,” Fine continued. 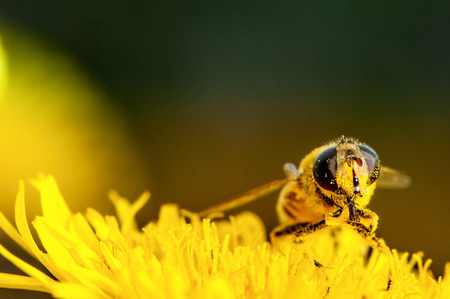 Researchers also found that a particular gene involved in immunity (called 18-wheeler) had reduced expression in bees treated with the adjuvant and the virus compared to bees in the control groups. “Taken together, these findings suggest that exposure to organosilicone adjuvants negatively influences immunity in honeybee larvae, resulting in enhanced pathogenicity and mortality,” Fine said.